Over the years I have been blessed to be able to write some books that hold great meaning to me. They all have a very special place in my heart. I would love to be able to share them with you. Drawing on his relationships with industry insiders and those in front of and behind the camera in the entertainment industry, author Cyrus Webb has compiled a compendium of encouragement. 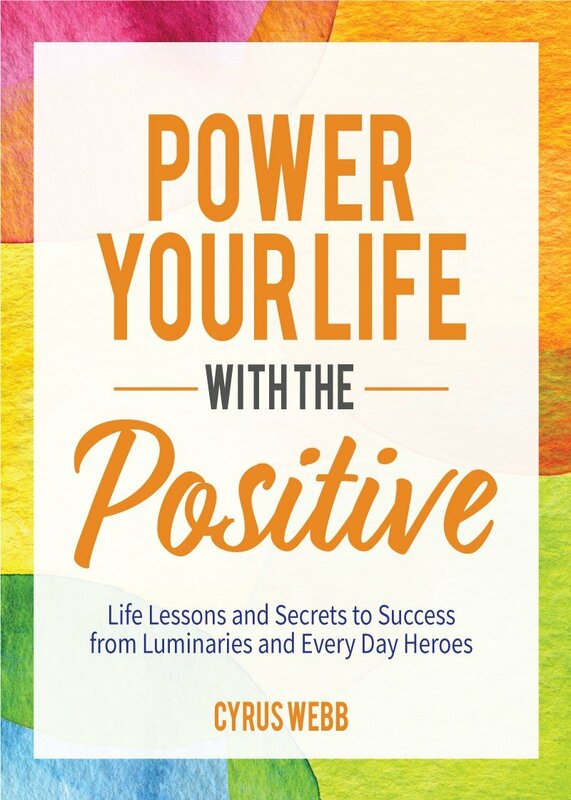 Power Your Life With the Positive is filled with stories of amazing life turnarounds from real people proves the importance of optimism in an often negative world. Every day we make decisions based on our thoughts and words that lead us to approach life in a certain way. Are you headed in the direction that you desire for yourself? If not, are you ready to do the work necessary to change course? 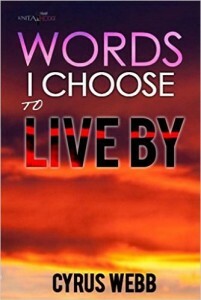 In Words I Choose to Live By, media personality Cyrus Webb uses positive affirmations to empower others to achieve their dreams, desires and goals. Marv was a good kid who was also a great friend, but he had a love for snacks and unhealthy food that was leading him down a bad road. Will he turn things around and choose a healthier life? That is what readers will discover. 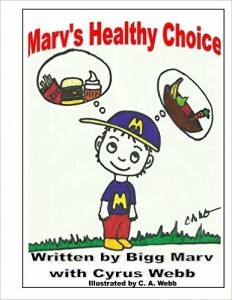 Marv’s Healthy Choice shares with readers the importance of living healthier each and every day. 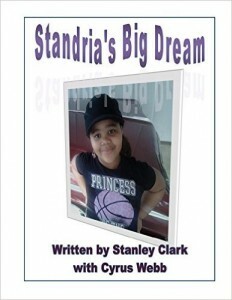 Standria is a little girl from a little town, but she has big dreams for herself. Will she find the courage to follow her dreams, even if others don’t think she can? allowing anyone to stop you from following your goals and dreams. Aubrey is a special girl with lots to offer the world, but everyone sees it but her. After a talk with her mom and dad and a poem written about her by her dad will she be able to see just how talented and special she is? 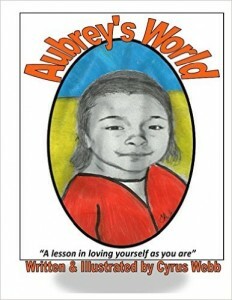 Aubrey’s World is all about seeing your gifts and appreciating the person you were created to be. He’s a new kid at school that just wants to be liked for who he is. While the other kids like to play around, A.J. loves to get lost in books. 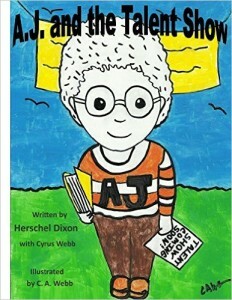 Things don’t start off that great at the new school, but when a talent show is announced at school it gives A.J. the chance to show the kids that his love of reading is something everyone should enjoy. A.J. and the Talent Show shows that the cool thing is to read and study hard, never knowing where books can take you. 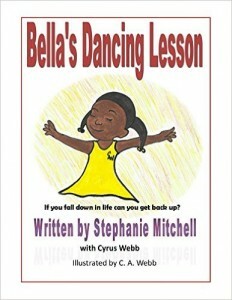 In BELLA’S DANCING LESSON readers learn the importance of getting up when you fall and not allowing yourself to be defined by a mistake. Esco is a young boy with dreams for his future, but his friends don’t believe his dreams can come true. 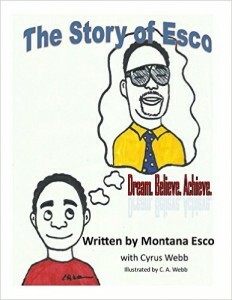 The Story of Esco is about dreaming big, believing in yourself and working to achieve what you want in life.